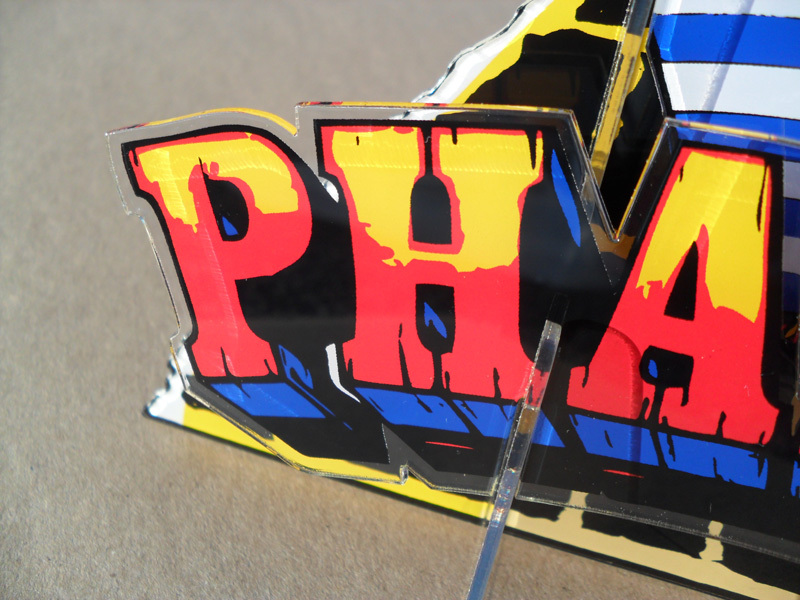 Complete set, laser cut PETG. 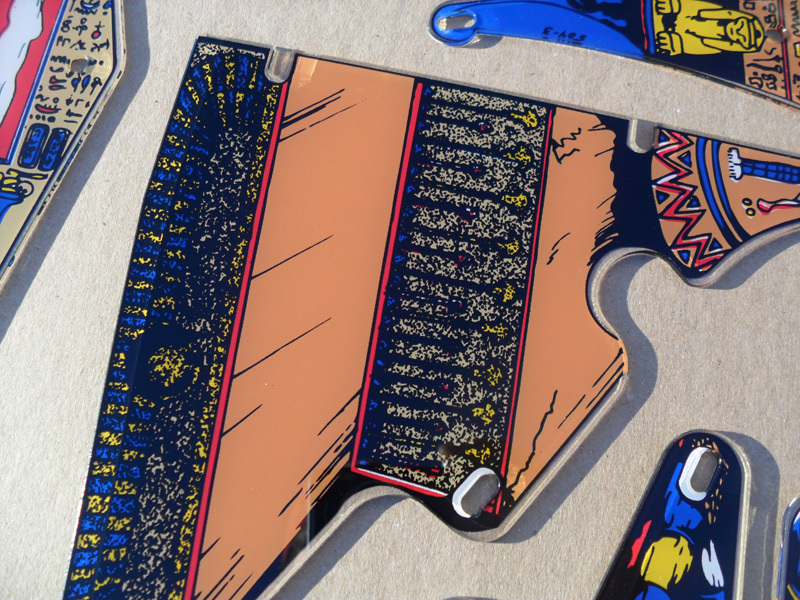 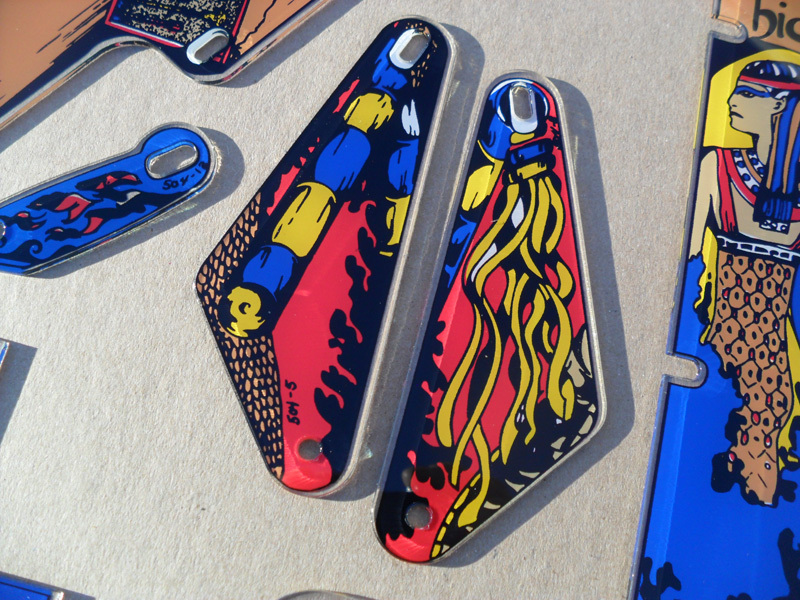 Includes doubled slings, “3D” Desktop Assembly (see gallery), and two key fobs. 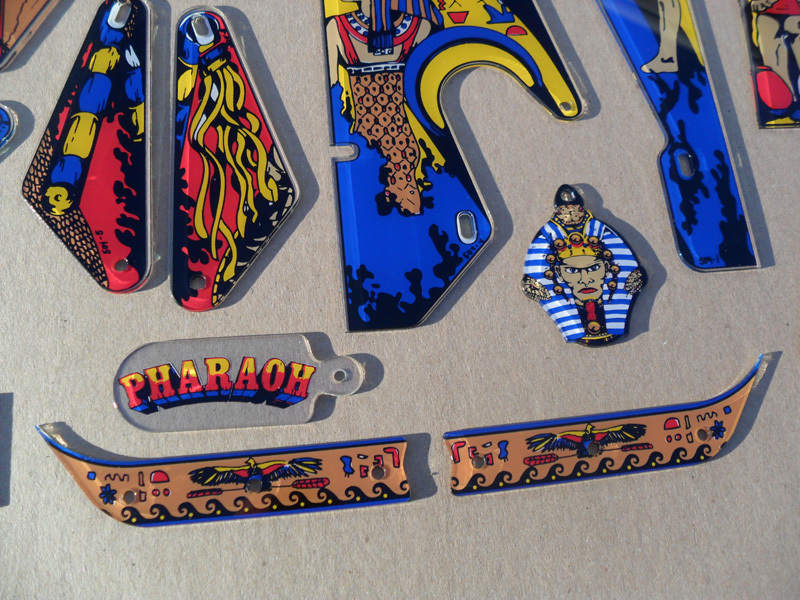 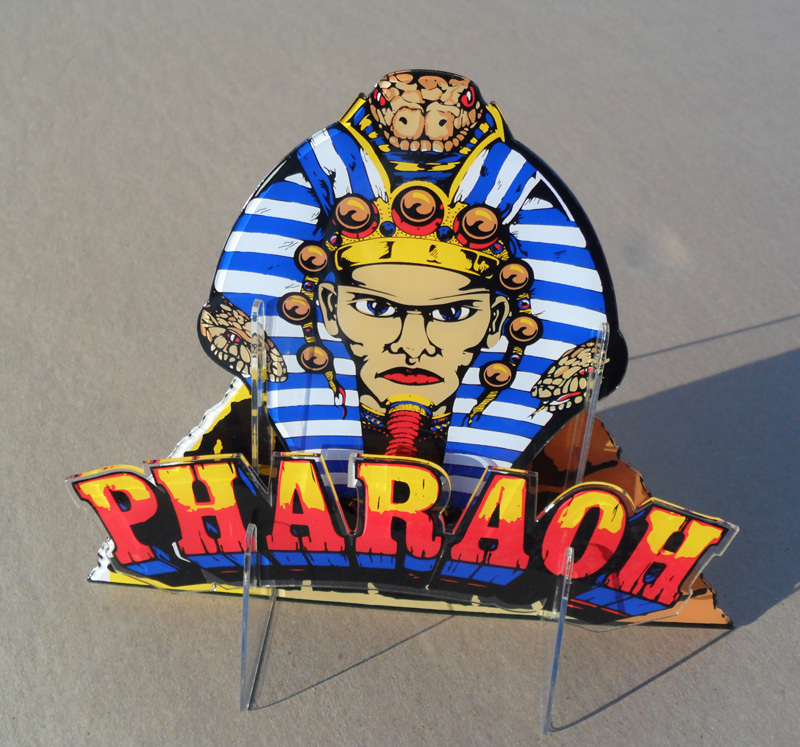 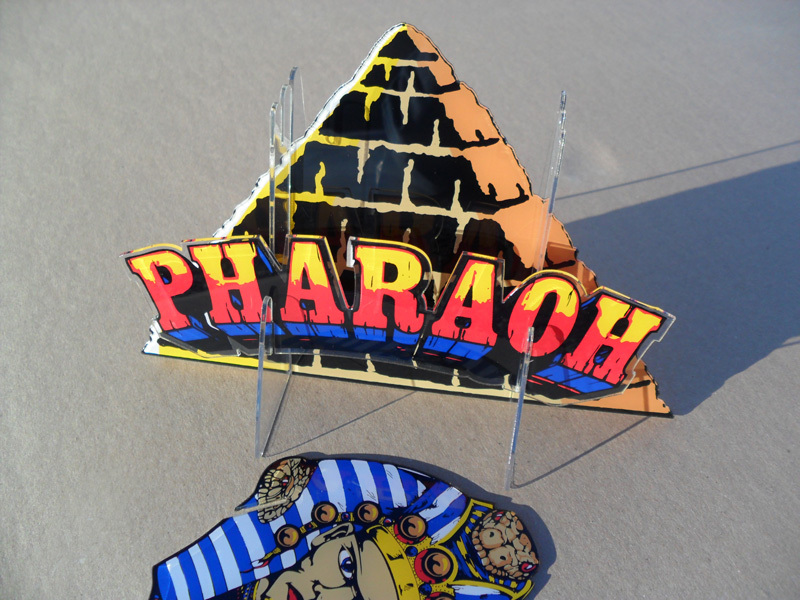 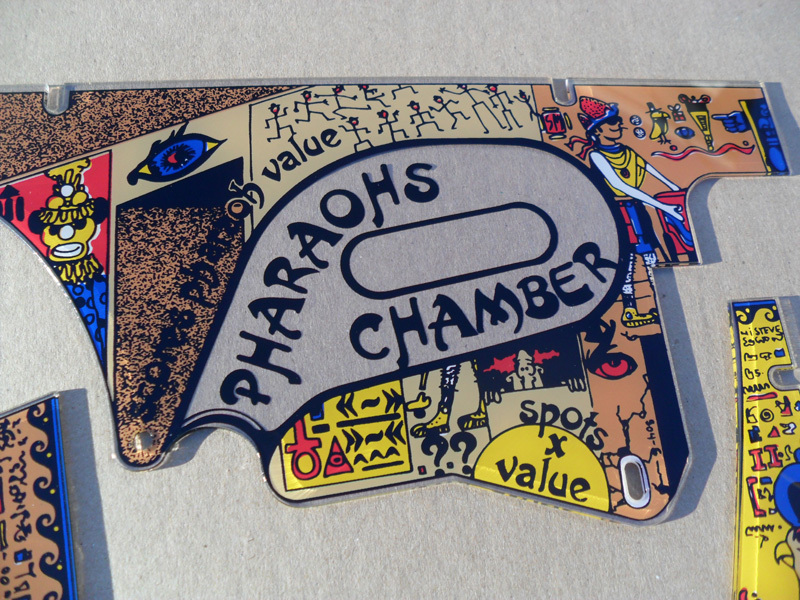 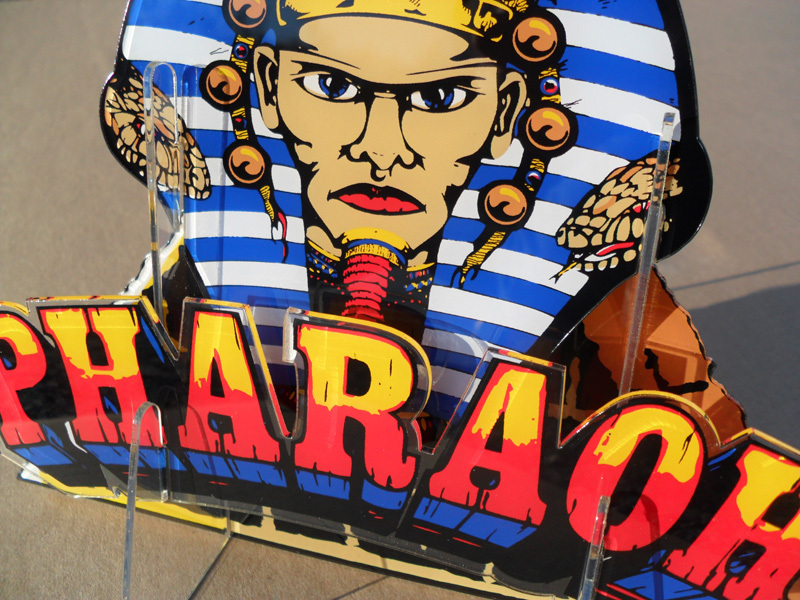 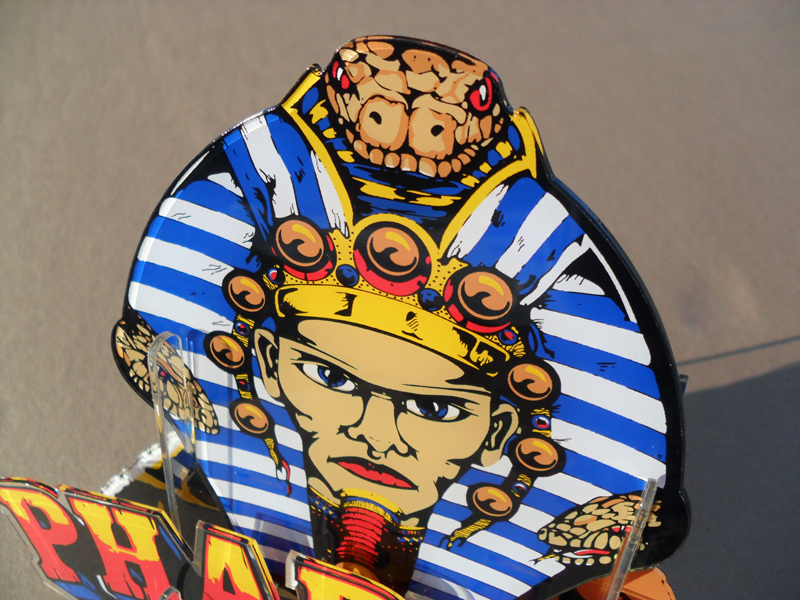 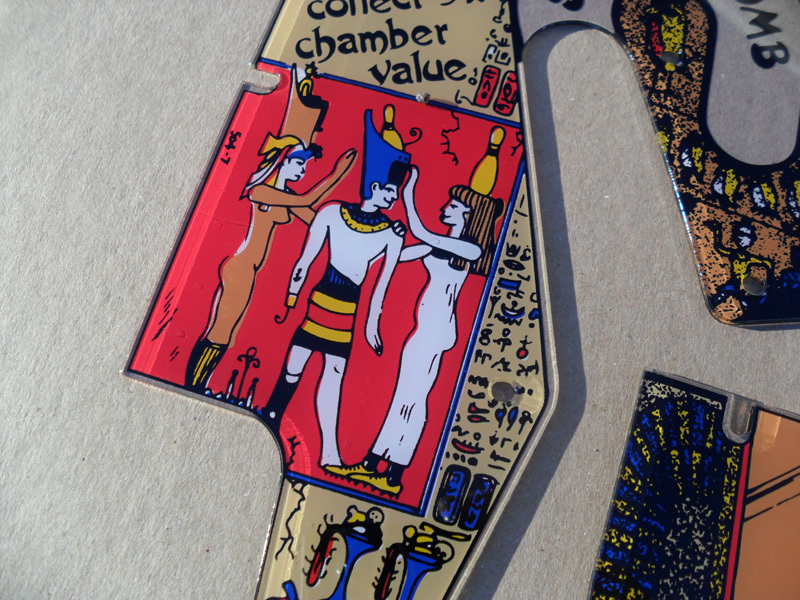 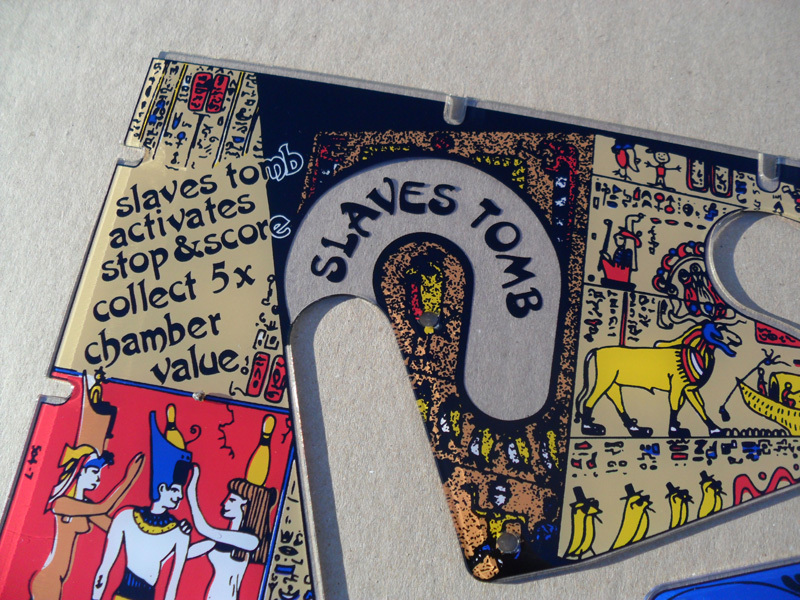 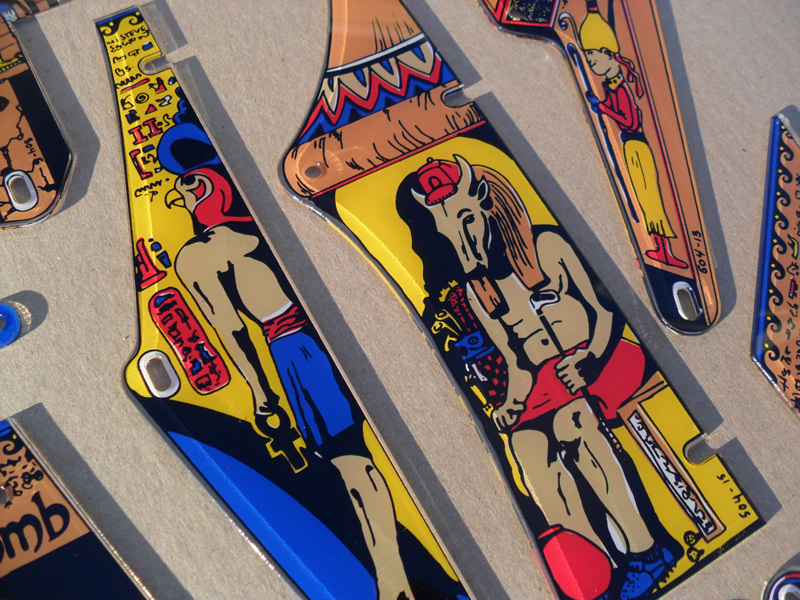 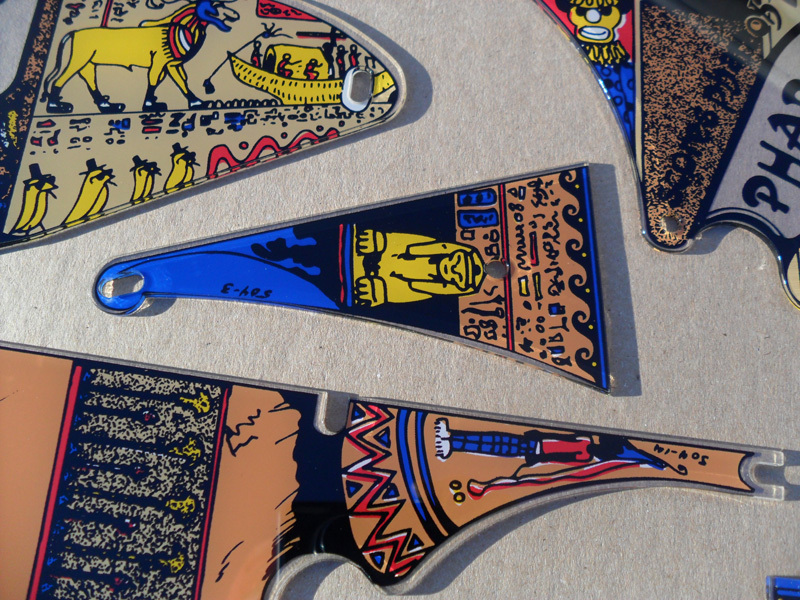 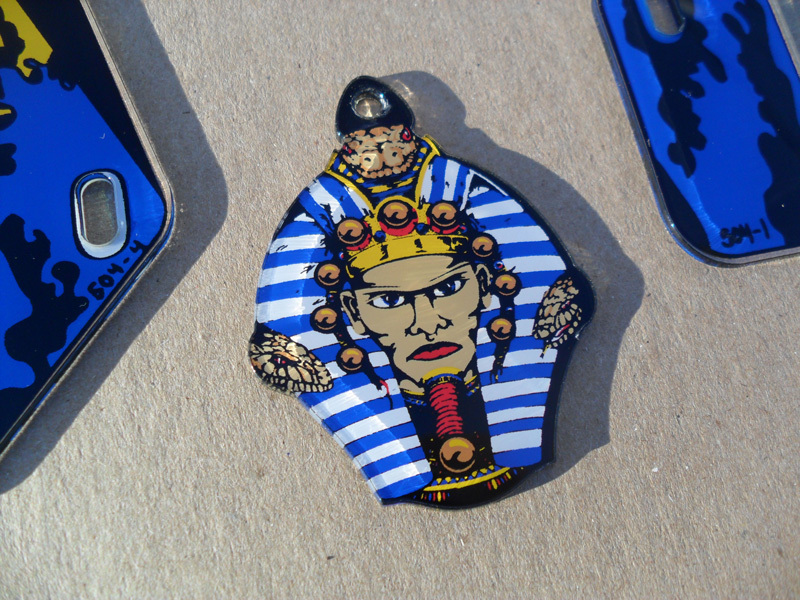 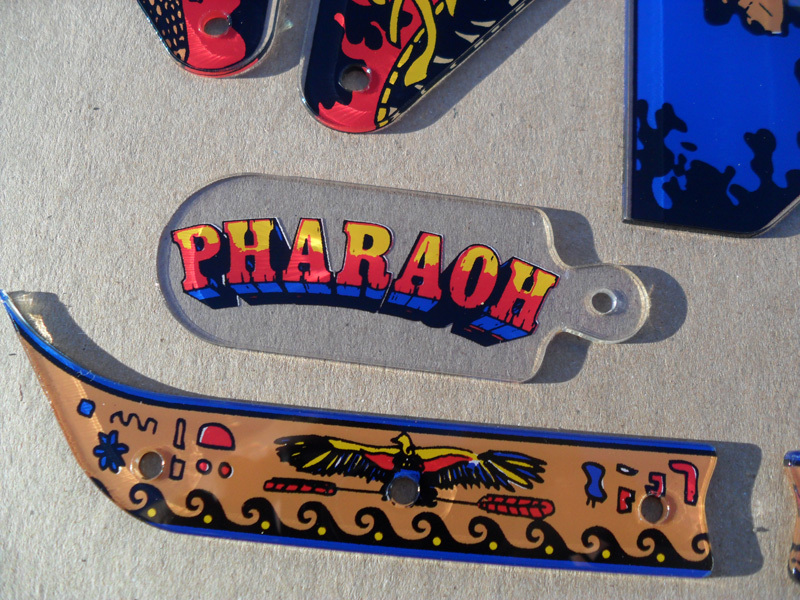 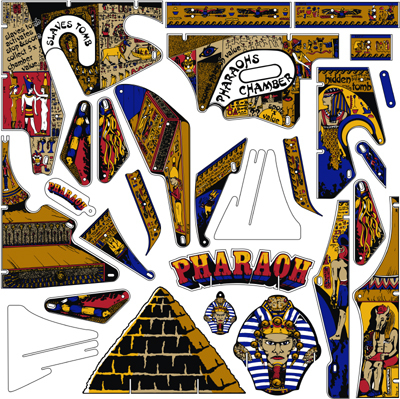 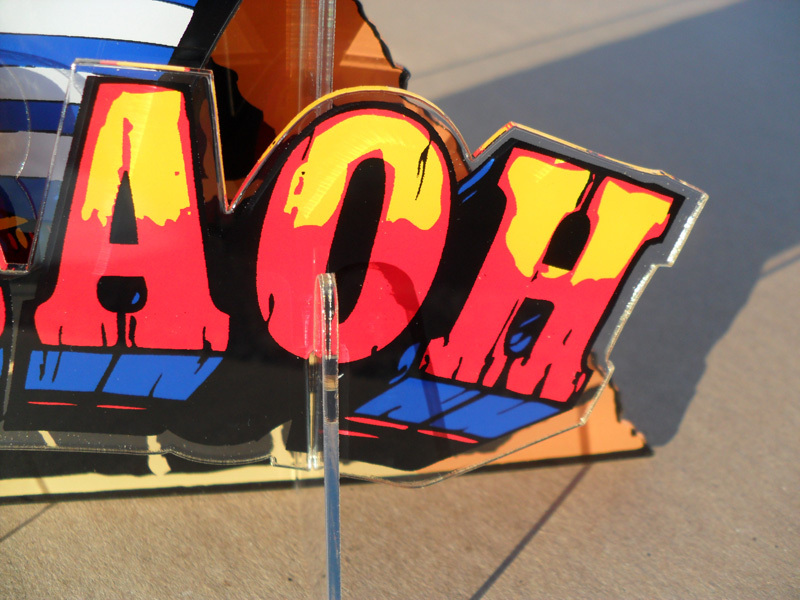 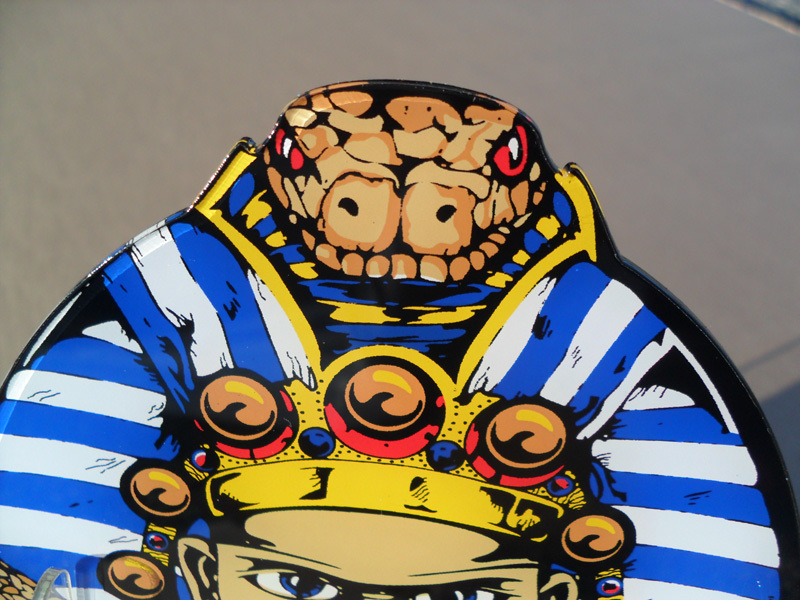 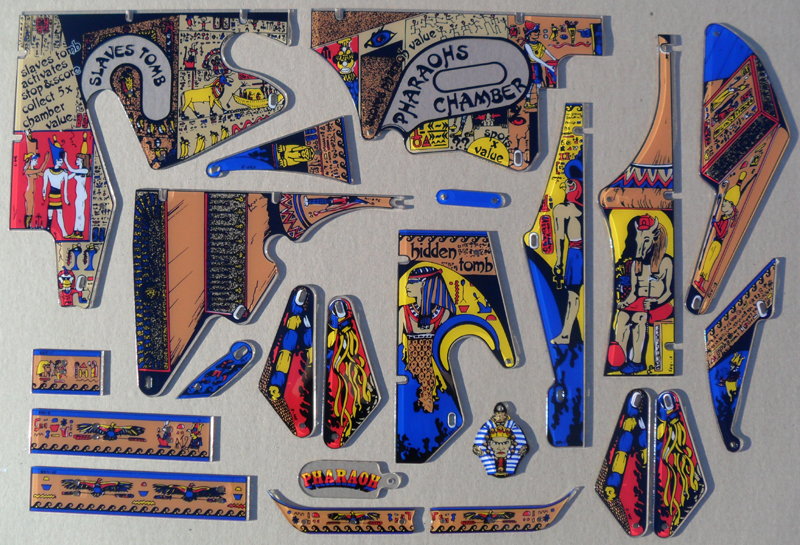 Vivid colors and brand new, perfect replacement for scratched, yellowed, broken, or incomplete Pharaoh plastics sets. 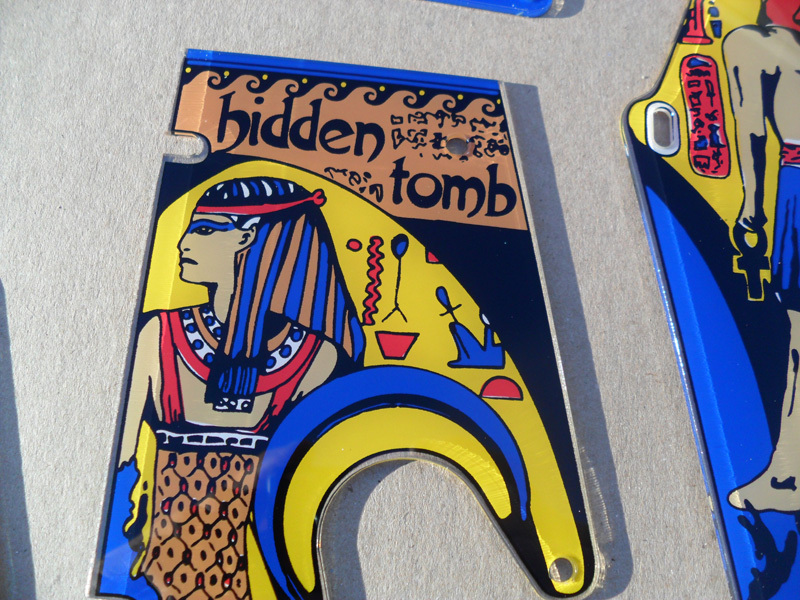 Protective coatings unpeeled.